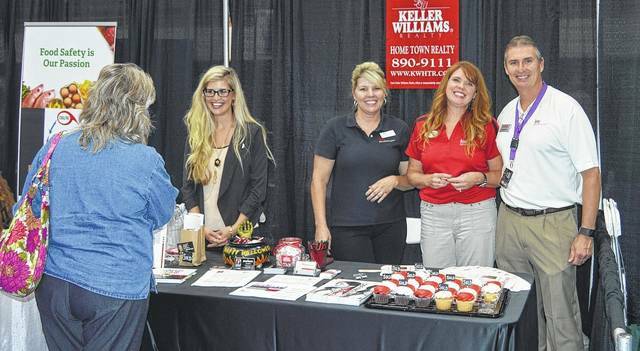 The 2018 Business at the Crossroads Community Expo and Dinner Auction will be held at the Butler High School Student Activities Center on Thursday, Oct. 11. VANDALIA — The Vandalia-Butler business community will once again gather for its annual Business at the Crossroads Business Community Expo and Dinner Auction on Thursday, October 11. Doors will open at 5 p.m. at the Butler High School Student Activities Center at 600 S. Dixie Drive. Admission and parking is free and door prizes will be given away. Vandalia-Butler Chamber of Commerce President/CEO Will Roberts said that the Expo is returning to its roots with over 70 businesses under one roof. In addition to the Business Expo, the Vandalia-Butler Booster Association is hosting a dinner with a live and silent auction to support the athletics at the high school. The silent auction will begin at 6 p.m. with a part of the auction to take place on the floor of the Expo. The pasta dinner, catered by Christy’s Pizza, begins at 7 p.m. and the live auction begins at 7:45 p.m. Tickets for the dinner are $10 and can be purchased at the Chamber of Commerce office or at Butler High School. All proceeds benefit the Vandalia-Butler Athletic Boosters.